In addition, the agreement, which will run until 2022, will also see Magners Irish Cider become the Presenting Partner across all four days of The Festival™, which will be recognised as ‘The Festival™, presented by Magners’. The Festival™ is the fourth biggest sporting event in the UK, in terms of the total number of visitors, and takes place over four days at the world famous Prestbury Park racecourse in Gloucestershire. In addition, The Festival™ has broad and increasing appeal in Ireland, with approximately one third of tickets sold in 2018 going to Irish race-goers. The Festival™ 2018 was another fruitful year for the Irish, with punters witnessing 17 Irish-trained winners during four days of competitive Jump racing. From 2019 to 2022, this agreement means Jump racing’s showpiece event will become the ‘Magners Cheltenham Gold Cup’. The Festival™ will now be referred to as ‘The Festival™, presented by Magners’. “Magners Cider is 100% Irish, made in Clonmel, County Tipperary, where William Magner first started making cider over 80 years ago. Famous for our Irish heritage, sociability and positive view on life we are truly excited to put our name to the most prestigious Jump race in Europe and partner with one of the UK’s best sporting and social occasions as a platform to engage fans and bring Magners to a global audience. Given The Festival™ is a major occasion in the sporting calendar of racing fans across the world, especially in the UK and Ireland, we are delighted to be a part of such an iconic event. 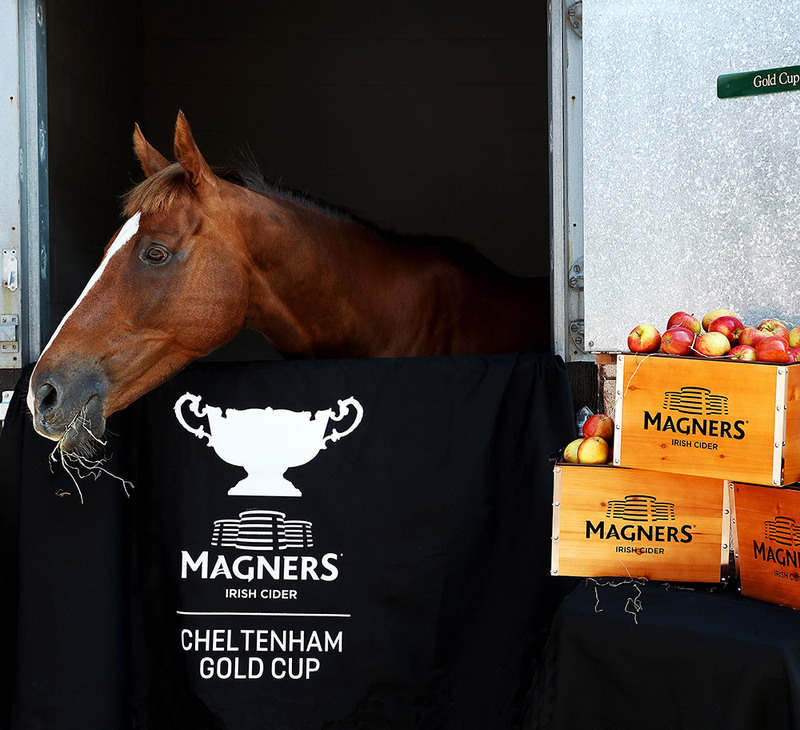 We see our partnership with The Festival™ and the Magners Cheltenham Gold Cup as a perfect fit, providing a year-round platform to bring to life our new “100% Irish” positioning to consumers in the UK and internationally. We look forward to working with The Jockey Club to engage horse racing fans across multiple platforms, including at The Festival™, in the On and Off-trades, and via advertising, digital and social activation”. “To work with Magners over the next four years is something our whole team is hugely looking forward to. I believe this partnership with a brand of provenance and heritage like Magners will provide a big opportunity for both parties. In the build-up to The Festival™ each year, a third of the tickets purchased are by Irish race-goers, so we feel this partnership is a great fit and we’re delighted to be working alongside a partner with such a strong Irish heritage and appeal in the UK, Ireland and beyond.